Star Wars fans have a lot to look forward to before the arrival of movie, Star Wars: The Force Awakens in December. 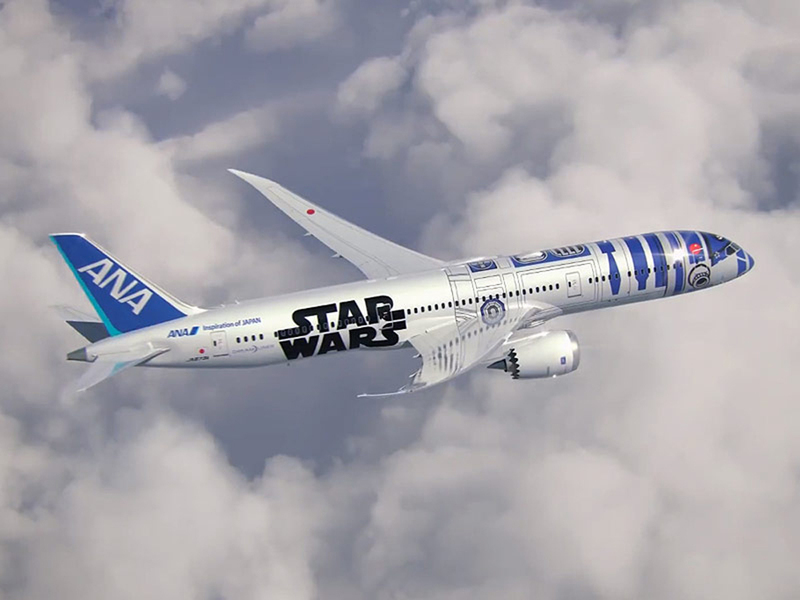 To celebrate the launch, Japanese airline All Nippon Airways (ANA) created a Boeing 787-9 Dreamliner to resemble famed character R2-D2 in the iconic blue and white graphic design, which also happens to be the official colors of the airline. Customers and loyal fans can begin flights on the R2-D2 plane beginning in fall 2015. The movie will launch December 18, 2015. For more information, click here.